We went out to gather a top ten of the best socks for traveling out there but ended up just calling it a day at three. That’s because the companies we have on this list are legitimately the best around. Nobody else comes close. The key here is that we are looking at socks that will be excellent for traveling in. 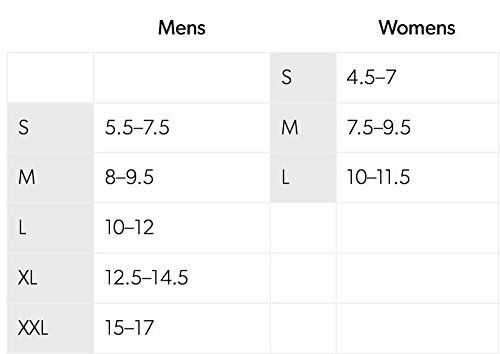 Of course all of the pairs on this list can be used everyday, but we wanted to find socks that have exceptional durability and comfort that outperforms everything else out there. So here we go, hold onto your butts! Here are our picks for the most durable socks that you can take on the road. 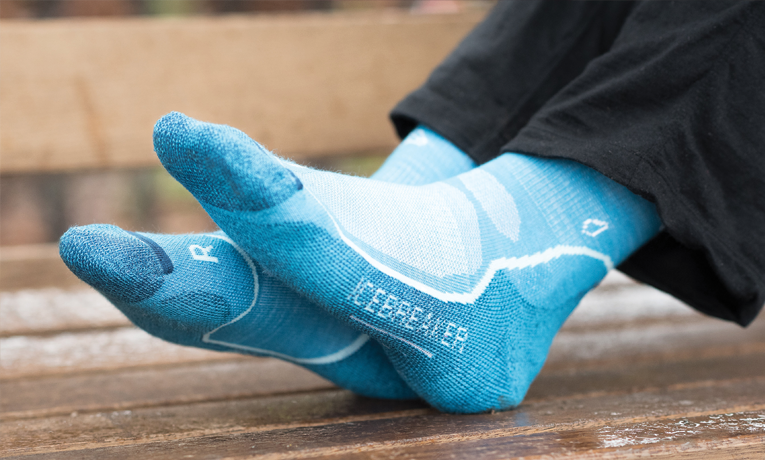 If we had to pick one type of socks to wear for the rest of our lives here at Buy This Once, it would be the without a doubt the Icebreaker Hike Plus. These are a medium weight hiking sock that also doubles really well as a slightly flashy dress sock. This means that you could pack a few pairs of these for a week long business trip but also do a bit of hiking while you’re out there. The key here is Icebreaker’s extensive experience with merino wool. This magical fabric will change your life! Seriously, until you wear a merino wool sock, you don’t know… anything… Merino breathes well, keeps you warm when it needs to, is comfortable, and most importantly: doesn’t retain smell. This means that on a trip you could feasibly just hang these up at the end of the day and then throw them on again without washing. They won’t be nearly as funky as a pair of cotton socks. They also dry incredibly fast, which can be a major bonus when backpacking or hiking. I have many pairs of these and actually wear them as dress socks as well. These are the MacGyver of socks and you owe it to yourself to give them a go. 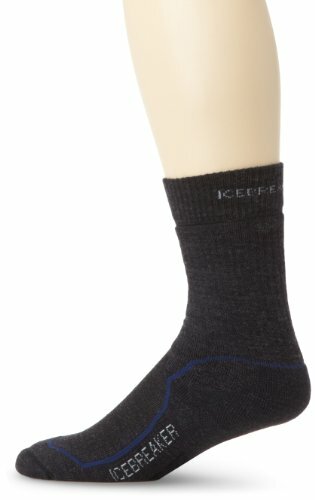 SmartWool is basically Icebreaker’s direct competition when it comes to active hiking and travel socks. Everything we said about the Icebreaker’s apply here too. They are made from a merino wool blend and are incredibly well-designed socks. 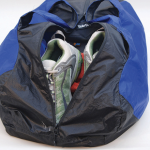 With a medium weight they will be a great pick for people that have an active lifestyle while traveling. The only difference I really see between these and the Icebreaker Hike Plus is that these tend to be just a little bit scratchier. It’s not a big deal, but the Icebreaker’s are simply softer to the touch. But you will do well to try out these socks, as they are some of the absolute best socks for traveling that you can find. 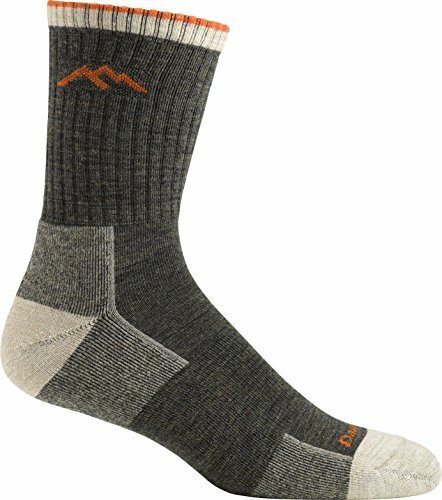 If you do a little searching for the most durable pair of socks, you will absolutely come across these Darn Tough socks. Made in Vermont, Darn Tough prides themselves on these socks which are virtually impossible to damage. The have a similar merino wool construction but perhaps a slightly heavier construction than the other two. And these are backed up by Darn Tough’s ludicrous lifetime warranty. That’s right, Darn Tough has a lifetime warranty on all of their socks. This makes these an excellent pick for those of you that tend to run through many pairs of socks a year. There you have it! We think that these are basically the only pairs of socks around that we can recommend as “buy it for life” quality. 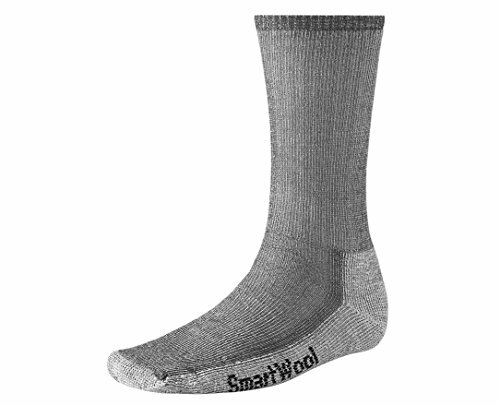 They are comfortable, are made from very comfortable merino wool and are quick drying and odor resistant. What more do you want from a sock? The prices are all pretty similar so the choice is yours!